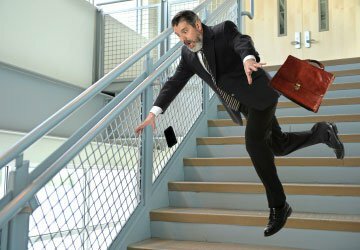 Slip & Fall Accidents | Eduardo De La Cruz-Munoz P.A. As a customer, client, or guest, you have the right to expect that the premises you are visiting are properly maintained and safe. Property owners have a legal obligation to make sure their premises are reasonably safe. Thus, if you are seriously injured due to a slip and fall accident caused by dangerous conditions on the premises, the owner of said property may be held responsible. Premises liability is applicable to both public and private property (i.e. grocery stores, malls, apartments, private homes, restaurants, hospitals, banks, and so forth). If you were injured because the property was not safely maintained, there are several steps you can take to protect your rights. 1. Report the incident and get a copy of the report. 2. Take pictures of the scene as well as any visible injuries. 3. Obtain names and numbers of any witnesses. 4. Contact the Law Office of Eduardo de la Cruz- Muñoz immediately.